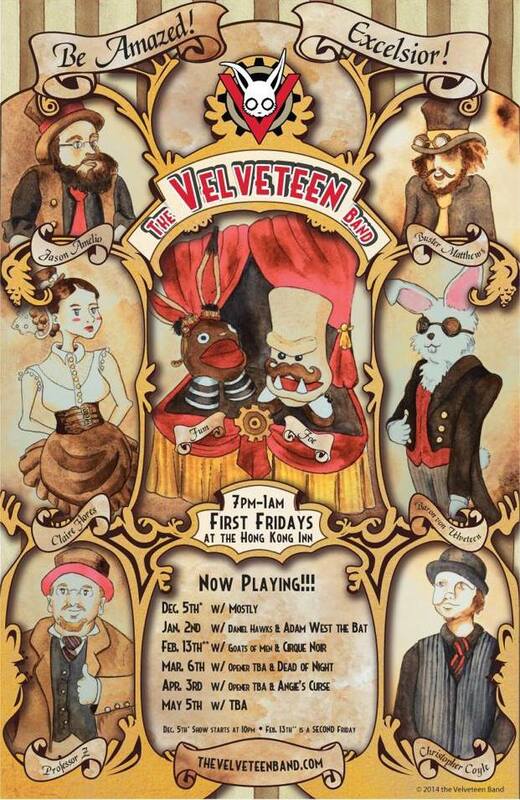 Claire Flores painted us this awesome poster for our ongoing “First Fridays” residency. Check it out, won’t you? Previous PostLive Photos by Jon Cobb – November 7 2014Next Postthe First Fridays Residency is moving!